A few items are displayed on a production line. They will now keeping up the line until they are finished. Close-up shot. 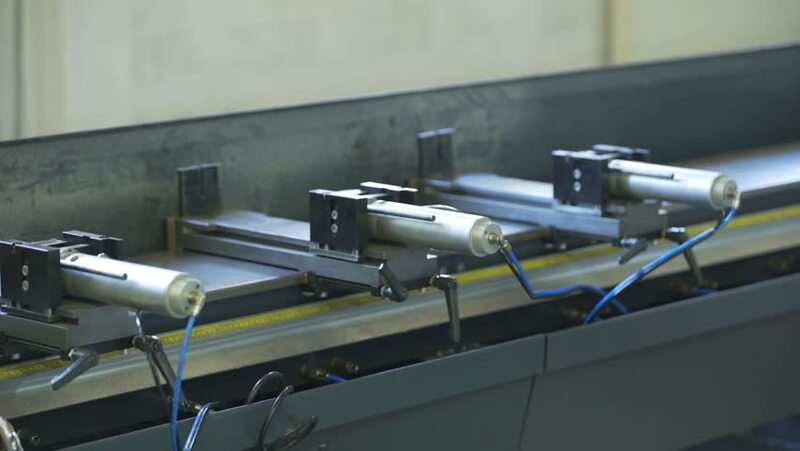 4k00:30Bending of metal tubes on industrial CNC machine in factory. Manufacture of refrigeration and ventilation equipment and air conditioners. Modern technologies.